GREAT VALUE! This perfectly sized home feels practically brand new! It sits on a oversized cul-de-sac lot and features a nice, open floorplan with a large kitchen, newer a/c (2015) and stainless appliances (2015), hardwood floors, & his and hers walk in master closets. It has been meticulously cared forâ recently added hurricane shutters, palm tree line for privacy in the rear, new landscaping, and a fresh coat of paint. The dryer and water heater were also replaced in 2017. 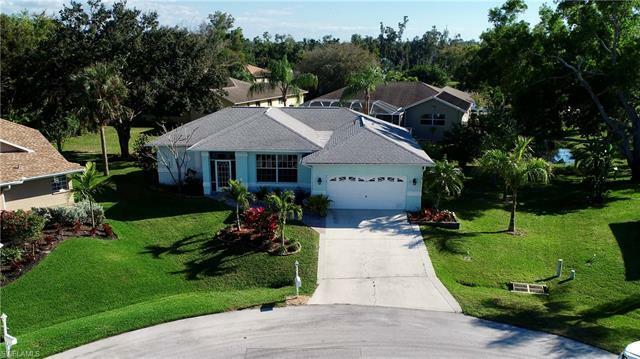 Biscayne Estates one of the most desriable communities in Fort Myers, with a very low HOA (under $50/month) and centrally located just minutes from RSW airport, Coconut Point and Gulf Coast Center shopping malls, and Fort Myers Beach.